As IceFrog released official Dota 6.65 map with a lengthy list of changelogs, now it's BuffMePlz's turn who is the developer of AI Maps. It's his turn to make Dota 6.65 AI Map, this map will follow all the changes which are made by IceFrog in v6.65. 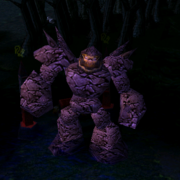 BuffMePlz will usually take some time to release Dota 6.65 AI v0.214 Map. Good Luck BMP! BuffMePlz will release DotA 6.66 AI instead of this map. , but I haven't been able to focus too much on this recently and in the interest of releasing Dota 6.65 AI as soon as possible, I'll probably hold off on this stuff for now. IceFrog has sent me the script changes and I've been slowly integrating them. I'm aiming to release by the end of this month. The reason behind creating this post is to keep you guys updated. We will post Dota Allstars v6.65 AI map here on this page as soon it gets released. Keep visiting DotA-Utilities.com for all the latest updates in the DotA-world. lalong tumatagal ang dota lalong kumokorni iww!! gotta get that! hehehe GO XxX_fanatic! specially you XxX_HoL!x,,,, we will support ur team! Go Philippines Go! we're waiting for the 6.65 ai map..
GOGOGO BMP YOUR THE BEST AI MAP MAKER! GO PROGRAM AI HEROES TO CREATE 3 TYPES OF GODLIKE ITEMS AND DEFENSIVE ITEMS TOO. Thanks Dota Utilities! U r the best.. Also 2 BMP, Good Job! woohoooo^^finally 6.65 is out!!!!! !1cant wait for ai! !thx bmp!ur da best! One day the dota will end!!!!! pls make the ai more inteligent theyre so noobs! !what the fhuck! !make them stronger!! Slark is soo IMBA! because of the 3rd skill its so CRAZY! it can steal 1 stat and 4 agi when hitting a HERO, not BALANCED! For KALDR seems to me that it is not ok because of its 1st kill is so powerfull that can kill in 3 to 4 use.75.5 dps lvl 4 last 4 sec. >.< almost 302 damage when it use and 9 sec. cooldown 90 mana cost!....For those people that see my comment, just be nice! its just a COMMENT! not REQUEST! when will be the release date? visage in this 6.65 map is so IMBA..wtf so geng~!~!all his skill so pain..killer visage~!~!~! In v 6.64+AI, invoker doesn´t spelling. will he spell in this version? keep up the gud work bfm. when will it be posted??? the comments above r ryt. kael is not using his skill. i believ in u BMP. but i hope that 6.65AI comin' up .... i cant w8tin..
Can u make the 6.65 map faster..
when it be posted..too slow you gonna make it faster..and make weaver's sukuchi cooldown 100..too imba!!! there's no imba hero in this game..but there sure got some unbalance hero..just like ursa ex..for another hero that hp below 1k in the early game..sorry to say..you all are ursa food..but when i use doom againts ursa last time around..yes the skill is good..and i admit..my hp more then 1.5k..so im alive..but ursa not imba..its easy to kill when youi know it how..and i hope this new 6.65 ai map..you all can try to make your strategy better..its all about teamwork and teamplay..good day..chow! hope sir buff can make the AI alot smarter ;) like backdooring, ambush, ganking, combo, orb walking, etc. can`t waiting for this ai map..
Is the person in the picture just some random guy or Vladmir? hi guys...do u know when v.6.65 AI is coming? ?and how can i download it?? lol, they stole the picture from WoW. please make it A.S.A.P pls...... ty !!!!! u all want this map but can't wait then u make loh see how u make a AI map. BMP or other DoTA lovers, pliss Upload next Maps USing MegaUpload.com or simply use DriveHQ.com instead rapidshare. how can i hav dat 6v6 dota 6.65 map? wtf la..by the end of this month? ?noobs sucker..
Hey there, BMP. Just asking, is there something wrong with the ai script for batrider? He keeps pulling the creeps lol. all you guys are awesome in creating such magnificent maps.. i am an adict!!! tnx tnx tnx.. i wanna i wanna play it..
we need the 6.65 ai as soon as possible. . . don't make a new map if the if the new current map is not complete at all . . .
How mach time until relese AI map ???? As he already said, He might release Dota 6.65 AI at the end of this month. all of you are weak.!!!!!!!!! Just one thing...anonymous is legion . u don't have to make ai scripts for slark or kunkka or whatever we have enough ai that function that pwn just realese the 6.65 version with that warning invoker has it's hard enough to make trax work so thx gj and keep up the good work and realese the latest version so we can practice new heroes against old ai that work ???? yeah.. at least that sounds good that the undying DOTA maps continue to replenish our thirst on computer games... I hope that 6.65 AI will be released soon. how long did we supose to wait dota 6.65 AI?? ha??? plz make 6.65 ai. im fukin damn sick!!!!! 6.66 map already out..but still i havent see 6.65 ai map and 6.65b map..check it in getdota.com..but why the othere 2 maps so late to be release mean while this 6.66 map already out..?wtf wtf wtf wtf wtf wtf wtf wtf wtf wtf wtf wtf!!!!! I'm waiting new hero. please coming ! pls post download link here..
i cant wait any longer..
when is the map coming out???? Dont Make It Fast., Ai will be more great!! the longer u w8 the better the AI ok ppl?? cb no released ai map?? nid to wait how longer? wait for next new year? we wait for 1 month now ask we patient... cb... buffmeplzz u work or not? no slark is not like balanar!slark is a hero that when reach lvl 6 just when he goes to the dark side of the map his regeneration and movement speed increase..its very different to balanar cause balanar can move fast just when the dark rises!understand? i think he's going to release 6.66 AI instead of 6.65 AI. WAAHHH ITS LIKE 4EVER THE AI MAPS HAS'T RELEASE YET. . . IS IT REALLY GOING TO BE OUT???????!!!! cant wait to play these new mapzzzzzz damn it! i hope there would be an AI map. im excited to try d new heroes. THESE GUYZ ARE ALL BUNCH OF IDIOTS! CANT WAIT FOR THE NEW MAP? THEN MAKE YOUR OWN MAP, LET SEE HOW LONG IT WILL TAKE TO BE RELEASE. SHOULD I SAY FOREVER? LOL! BE PATIENT.